The 10-LPH reverse osmosis portion of this system reduces operating costs by economically removing ~95% of the contaminants from the incoming tap water. The RO water is stored in the included 42-Liter pressurized tank that prevents the risk of airborne contamination and eliminates the need for additional feed pumps and tank filters. 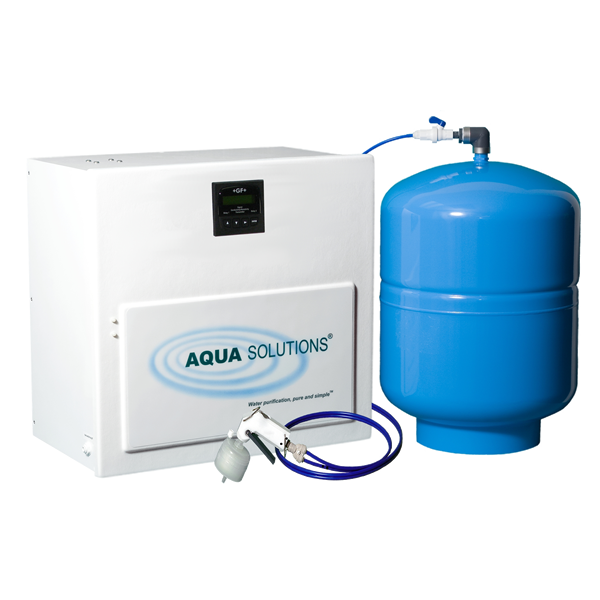 This affordable lab water system is simple to install and easy to maintain. The system cabinet can be bench, shelf or wall mounted and the RO storage tank can be installed up to 20 feet from the system. An additional RO membrane can be added to the system to increase RO production and the storage tank can be upgraded to increase capacity. The system has a 2-year warranty in most countries and is proudly made in the USA. 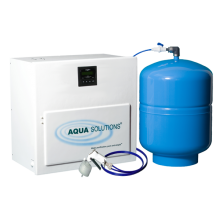 This compact, combination Reverse Osmosis plus Type I Analytical Grade DI System is utilized in operations involving virtually any quality tap water that contains less than 1,000 PPM of total dissolved solids. I would like to request a quote for Type I RO+DI Systems for Poor Quality Tap Water.